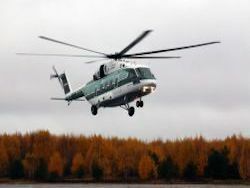 The fourth prototype of the new multi-purpose Mi-38 helicopter finished a series of land races and made the first flight at flight-test station of Kazan Helicopter Plant of holding «Helicopters of Russia» (Rostekh enters into State corporation). 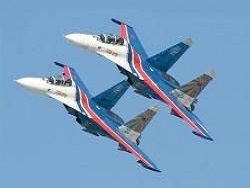 Flight took place on October 16 and proceeded 10 minutes. 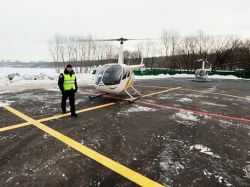 Helicopter the crew as a part of the commander of the aircraft of the test pilot of the first class deserved the test pilot of Russia Vladimir Kutanin, the second pilot of the test pilot of the second class Maxim Shezhin and the leading engineer on flight tests of the second class of Sergey Panin operated. 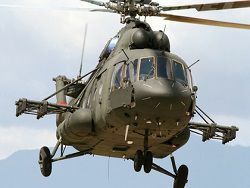 After that the helicopter is sent on flight-test base of the Moscow helicopter plant of a name of M.L.Milya for preparation for certified tests.« The program of creation of the Mi-38 helicopter successfully develops, – the deputy director general of holding «Helicopters of Russia» – the director general of Kazan Helicopter Plant Vadim Ligay noted. – Today in air the fourth prototype of the helicopter which will soon join the program of certified tests for the first time rose. Over a fuselage of the first serial car already work at assembly production. Mi-38 in practice proved uniqueness of the possibilities. 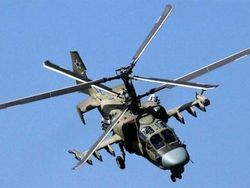 It is sure that the helicopter will be demanded and in Russia, and CIS countries, and in our traditional markets – in the African states, South East Asia and Latin America». 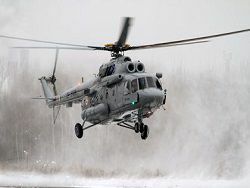 «The first flight of the fourth prototype of Mi-38 passed successfully, – the commander of the aircraft the test pilot of the first class Vladimir Kutanin commented. – The helicopter well copes, all systems during flight worked on "perfectly". To developers and producers of Mi-38 to eat than be proud. The helicopter very much is pleasant to us, to pilots, and shows excellent flight technical characteristics which should provide to this car brilliant prospects». 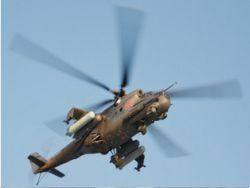 The Mi-38 helicopter of a standard design of the fourth prototype (OP-4) differs from the third prototype (OP-3) shockproof fuel system and the increased apertures of windows. As well as OP-3, the fourth prototype of Mi-38 is equipped with two turbovalny TB7-117B engines of production "Klimov". Engines have a capacity conclusion forward and are located behind the main reducer that considerably reduces noise level in a helicopter cabin. According to experts of aviation branch, loading capacity and volume of a passenger-and-freight cabin of the Mi-38 helicopter in a combination to high indicators of speed and comfort will allow it to become one of the most demanded cars for regional aircraft, first of all for passenger and freight transportation. The low noise level, a short time of preparation for flight, a spacious passenger cabin, following to new standards of safety of flights – these qualities open ample opportunities of use of Mi-38, including corporate and VIP-flights. The class Mi-38 helicopter in comparison with planes of small aircraft has higher level of profitability during operation, thanks to independence of existence of expensive air field infrastructure, a high resource, profitability of engines, and also some other indicators.